Nietzsche once proclaimed himself the 'Buddha of Europe', and throughout his life Buddhism held enormous interest for him. While he followed Buddhist thinking in demolishing what he regarded as the two-headed delusion of Being and Self, he saw himself as advocating a response to the ensuing nihilist crisis that was diametrically opposed to that of his Indian counterpart. 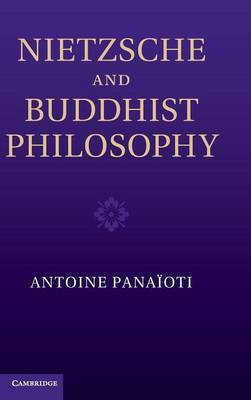 In this book Antoine Panaioti explores the deep and complex relations between Nietzsche's views and Buddhist philosophy. He discusses the psychological models and theories which underlie their supposedly opposing ethics of 'great health' and explodes the apparent dichotomy between Nietzsche's Dionysian life-affirmation and Buddhist life-negation, arguing for a novel, hybrid response to the challenge of formulating a tenable post-nihilist ethics. His book will interest students and scholars of Nietzsche's philosophy, Buddhist thought and the metaphysical, existential and ethical issues that emerge with the demise of theism.